Ensure party-season perfection with an embroidered dresses by Graci that never go out of style. 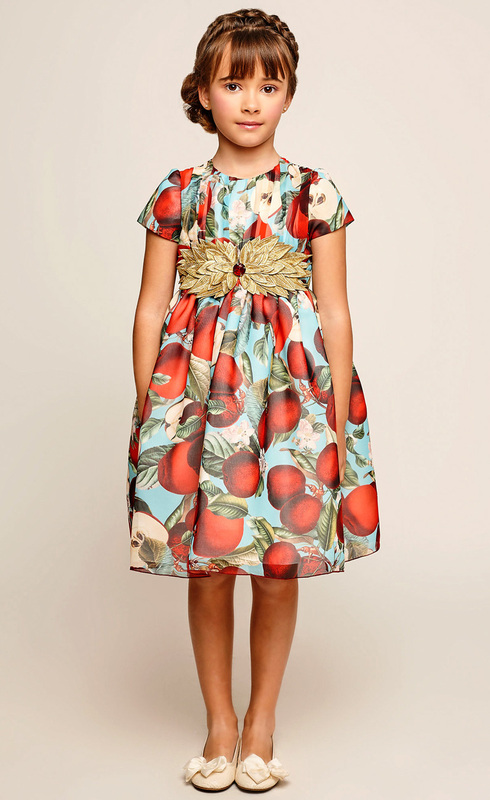 Layers of satin and tulle petticoats give volume and movement to this delightful apple print dress by Spanish designer Graci. She will love choosing accessories to compliment the gold embroidered applique that shimmers at the waist. Jewel tones pop with a dramatic effect in this vibrant jacquard dress by Spanish designer Graci. 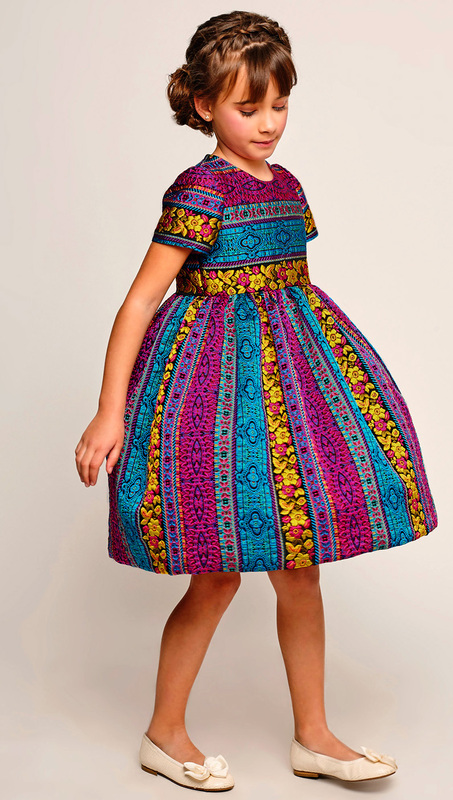 She will love the way the full skirt billows as she twirls, creating rainbow swirls of breathtaking colours. 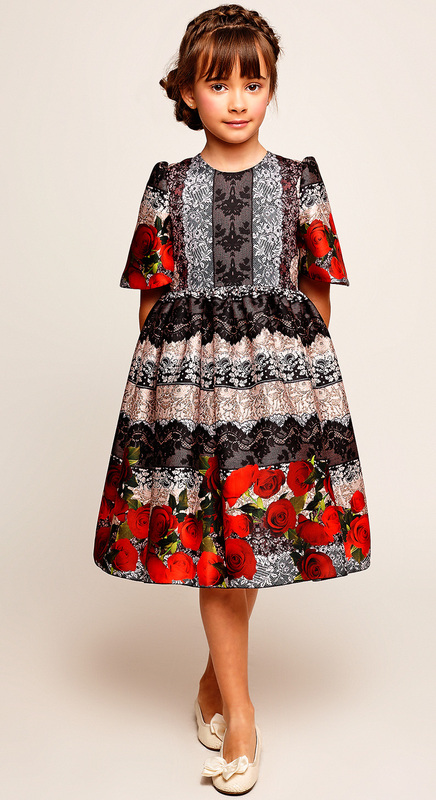 With its clever trompe l'oeil lace print, she will make a dramatic entrance in this dress by Spanish designer Graci. The fabric drapes softly over tulle and satin petticoats, which swish and sway as she moves. Diaphanous tulle lightly skims the full skirt to magical effect in this charming special occasion gown. She will love choosing accessories and shoes inspired by the charming floral corsage to complete her beautiful outfit. 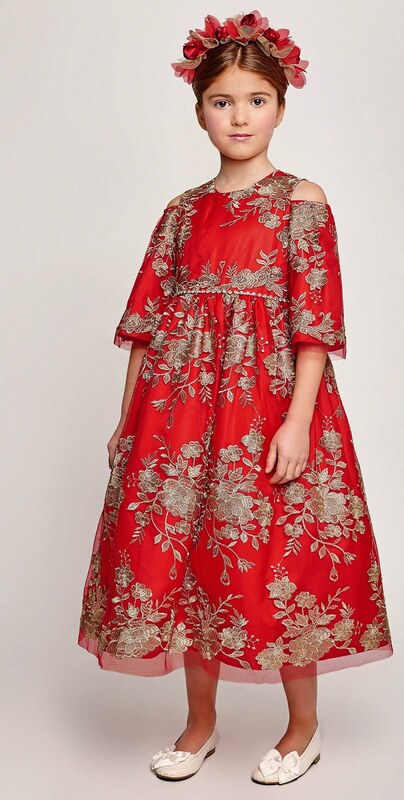 All gauzy red tulle and gold embroidered flowers, with crystal gems decorating the waist, this breathtaking gown by Graci is the perfect choice for formal wear events. The flattering, slim fitting bodice is complemented by the gathered full skirt, which is given added volume with a stiffened tulle petticoat and cotton lining.